Formula 707® LifeCare® Calming is now available in Daily Fresh Packs! 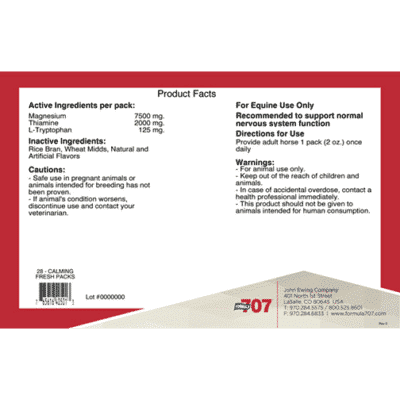 Formula 707 Calming contains COMPLETE support for the three processes that lead to a balanced central nervous system: serotonin, nutrition, and relaxation. A horse that’s nervous, jumpy and easily distracted is hard to train, difficult to work with and dangerous to be around. While some horses are born nervous, others may suffer from environmentally induced stress. Among the symptoms of low magnesium are nervousness, muscle tremors, a lusterless hair coat and intolerance to work or exercise. 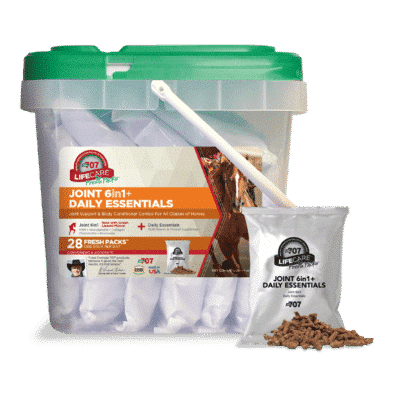 Thiamine deficiency may be expressed in nervousness, irritability, excitability, elevated blood lactate and pyruvate, and muscle cramping. Both are more likely to occur in horses on a high-carbohydrate (i.e. high-grain) diet. 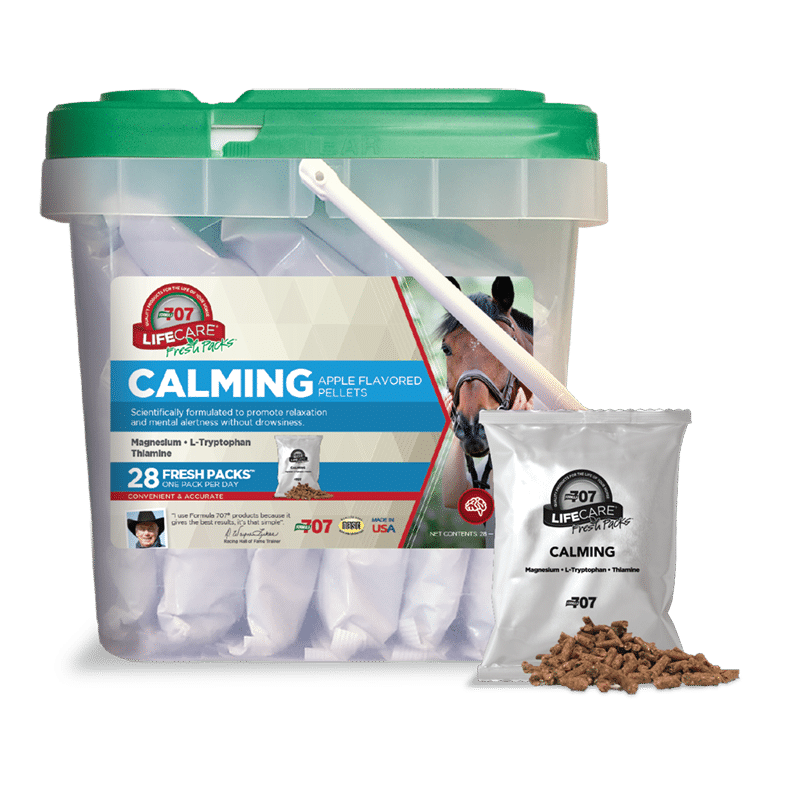 Formula 707 Calming uses premium quality magnesium oxide to maximize bioavailability and combines it with two of the agents best known to have a calming effect in horses, thiamine and L-tryptophan.